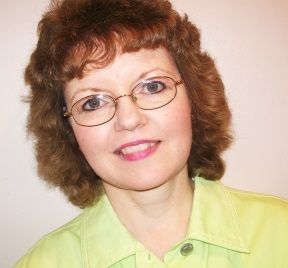 Today we welcome Susan Anne Mason to Writer Wednesday. Susan has recently been blessed with contracts from White Rose Publishing, Harlequin Love Inspired and Bethany House. 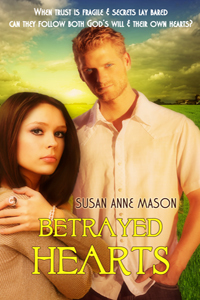 Betrayed Hearts is Susan’s debut contemporary romance, which releases on August 8, 2014. Book 2 – Wayward Hearts releases in December 2014. Susan lives in a suburb near Toronto, Ontario, Canada, where she works part-time as a church secretary. She is a wife and the mother of two amazing kids, and is a member of American Christian Fiction Writers (ACFW) and Romance Writers of America (RWA). In addition to writing, she likes to scrapbook and to research her family history on-line. You can connect with her on Facebook or on her website www.susanannemason.com. I love writing stories that include recurring themes of unworthiness, forgiveness and redemption, where my characters discover God’s great love for them during the process of falling in love. What fun to dream up such wonderful stories! My debut contemporary romance, Betrayed Hearts, began with the seed of an idea from a newspaper article I read about a family that had been murdered. Everyone perished—except one little girl. I remember wondering what this girl would think when she was old enough to understand the tragedy. Then I asked myself: what if this girl found out she had a baby sister who also survived? And the character of Lily Draper came into being. I coupled this with part of my great grandmother’s childhood. When she and her 9 siblings were orphaned, she was adopted by a tailor and his wife. The wife ended up dying and my great grandmother was left with the man who did not treat her very well. So I gave Lily the same family dynamic. Her abusive adoptive father made life miserable for her and colored her view of the world. At the start of the story, Lily is a jaded young woman who has never felt loved since the death of her mother. Then she meets her match in Nick Logan. Through Nick’s kindness and unconditional acceptance, Lily begins to see herself as worthy, not only of Nick’s love, but of God’s love as well. It was such fun writing Lily’s journey—not to mention making Nick, an aspiring minister, fall in love with a woman who seems completely wrong for him. I hope everyone else enjoys their story as much as I did. Lily Draper comes to Rainbow Falls in search of her biological sister, the only blood relative she has left. Emotionally scarred by her preacher father, Lily avoids religion at all cost. Her new landlord, an aspiring minister, soon has her questioning her views. Can she learn to trust Nick’s heart or will her sordid past destroy their love? Nick Logan hopes to take over for the retiring minister who has groomed Nick for the job. But Reverend Ted seems to feel the position requires Nick to marry an upstanding woman, namely Ted’s niece. When Nick finds himself falling in love with Lily Draper, the woman least likely to become a minister’s wife, his problems escalate. And when Reverend Ted gives him an ultimatum, Nick faces an impossible choice. Can he accept God’s will and still find a place for Lily in his life? Sounds like a great book, Susan. Thanks for joining us here today. Okay, readers, you have been far too quiet lately. Tell me… have you ever played the “what if” game? Thanks so much for having me here today, Ginger! I love how you came up with the idea for the story. Sounds great! Thanks, Terri! Ideas come in all shapes and forms!